Actually, they've gone, all of them. 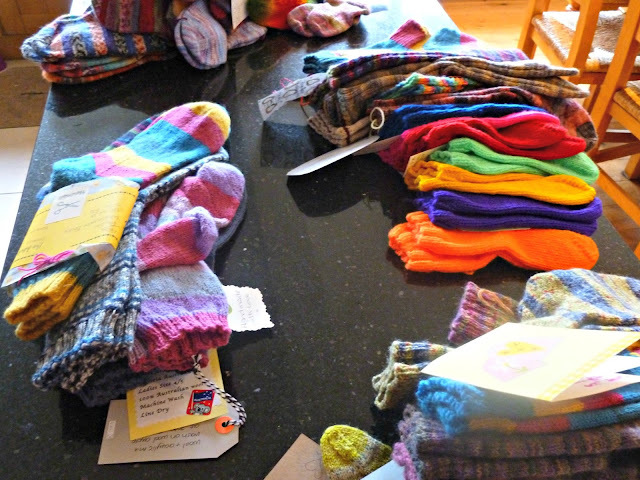 Off to new homes and to provide toasty toes to people who need some extra socky love. 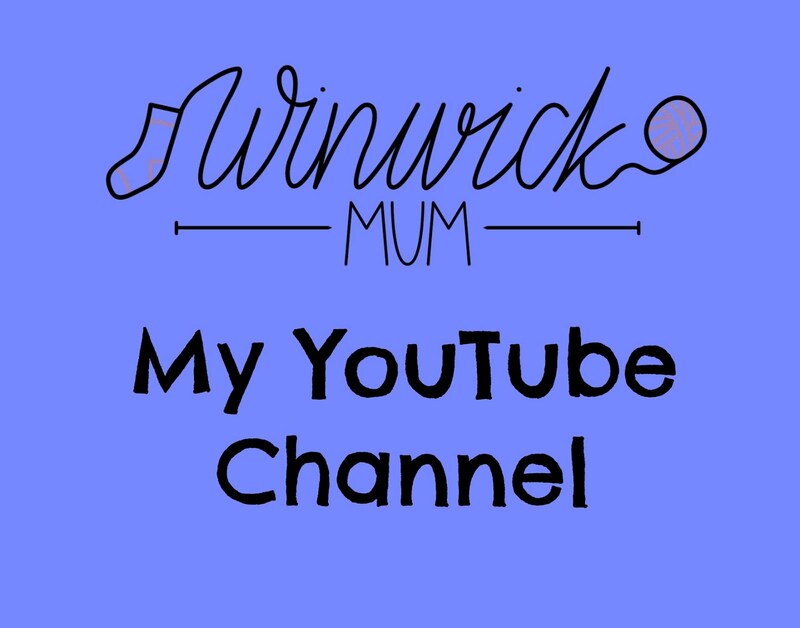 If you're new to the blog (and welcome to you if you are! 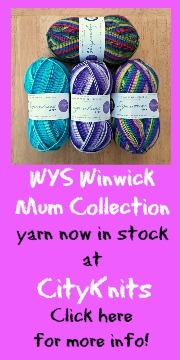 ), then let me start at the beginning and explain with this Yarndale Sock Line thing is all about. 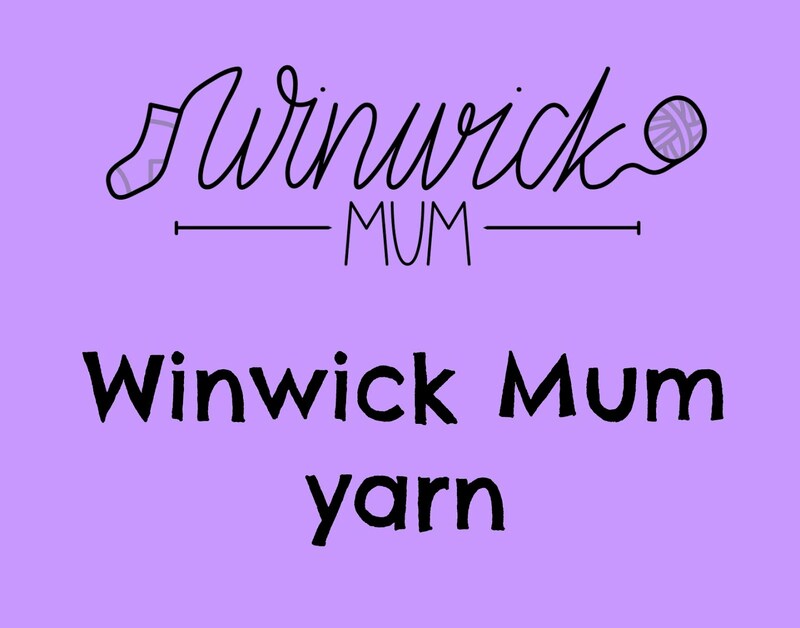 It all began back in July of this year when I had been asked by people joining in with the Winwick Mum Sockalong about whether there would be any sock bunting at Yarndale this year. 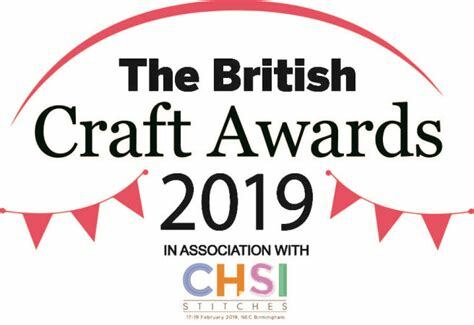 I thought this was an excellent idea but wanted the bunting to be useful, not hanging around year after year getting dusty and taking up space in my garage that could be usefully filled by the other mountains of junk that I hide store there. 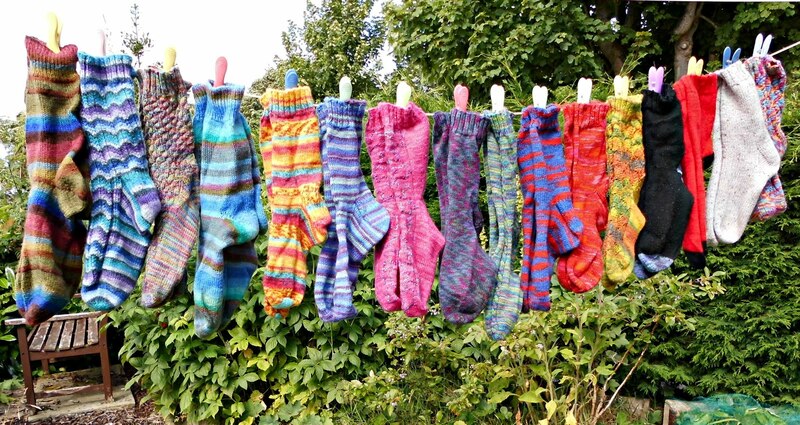 I wanted to give the pairs of socks away to people who would need them after they had been displayed and admired at Yarndale, and you can read that first post here. You never know how these ideas are going to be received, but I knew that however many pairs were gifted - two? ten? twenty? - they would be gratefully received. 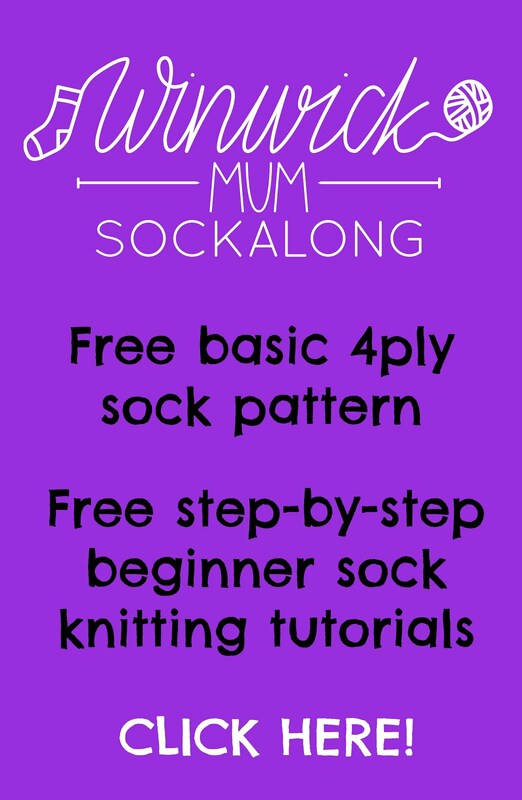 However, just like with the Sockalong, I had completely underestimated how many people would want to join in! 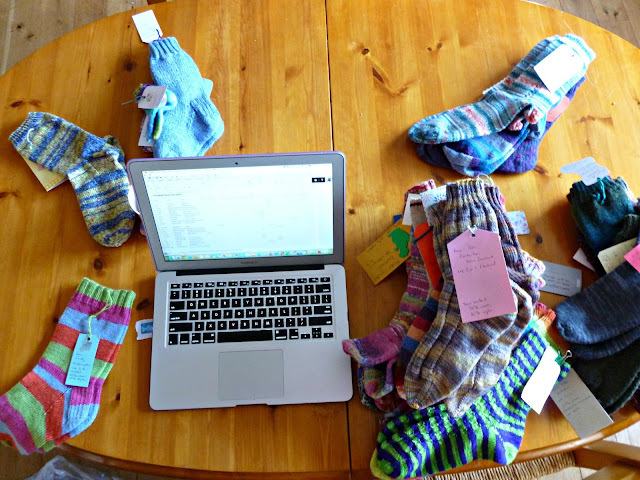 In August, I was able to show you all the pairs that were in progress and it wasn't long before the socks started flooding in - more pairs than I had ever imagined, from all over the world. So many generous people giving their time and their so that their socks could be gifted to strangers. 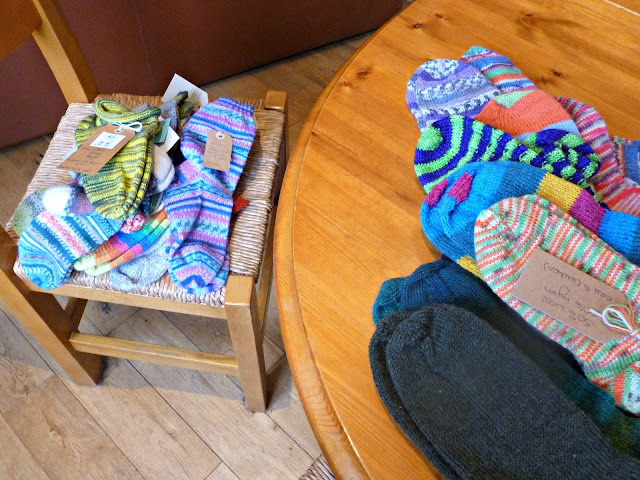 Lucy from Attic24 had very kindly let me use her Post Office address so all the socks were waiting for me in Skipton when I got there in September. It was like waiting for Christmas all through that summer! 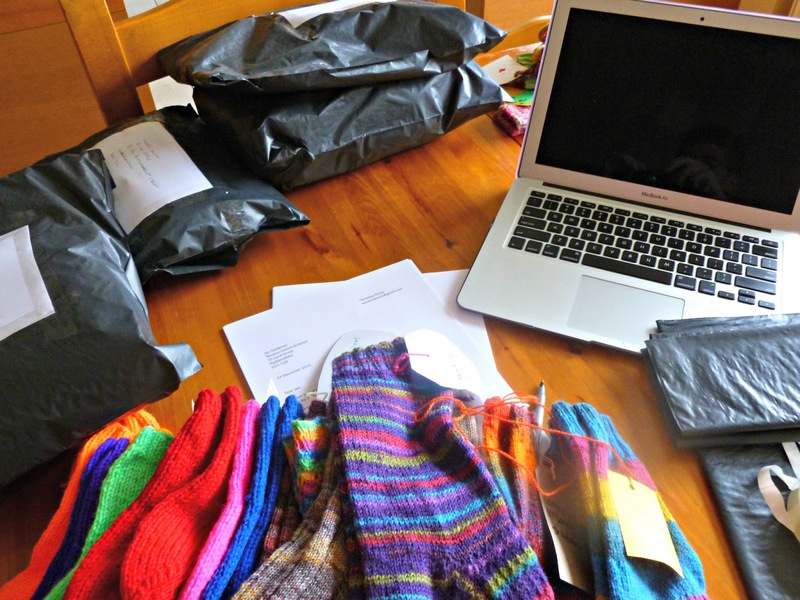 I knew the socks were coming in, Lucy gave me regular updates on how many parcels had arrived - but I couldn't open them to see! Finally the day came when I hurtled up the motorway to Yorkshire and Lucy and I spent a happy morning admiring what came out of the parcels and packets - it really was like Christmas! 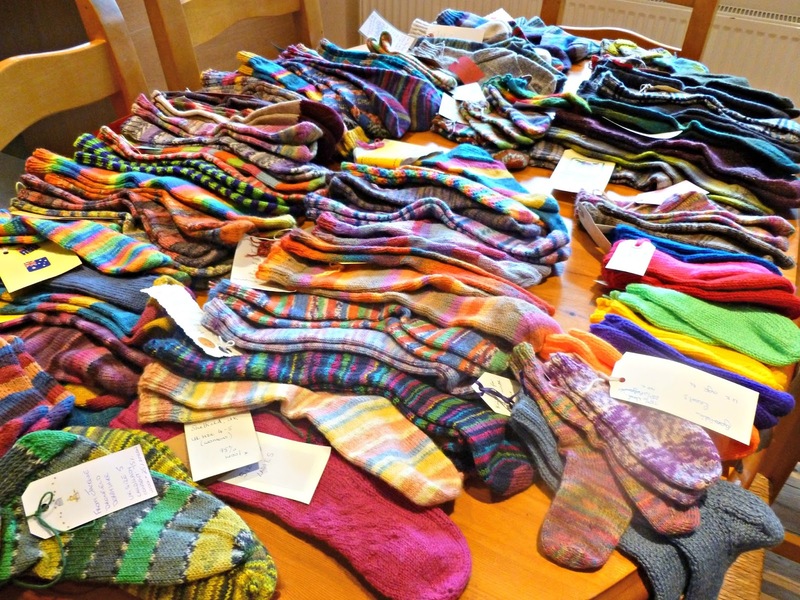 More and more socks arrived until the Yarndale weekend at the end of September. Seventy-five (yes, seventy-five, 75, seven-five!) pairs of socks were hanging on the Sock Line that weekend and each one of them was destined to go to someone who needed to know that someone else in the world had been thinking of them. Each pair, complete with their own little message of joy and love, would warm the feet of a stranger, and I was humbled to see them all hanging there, a gift of love from so many people. 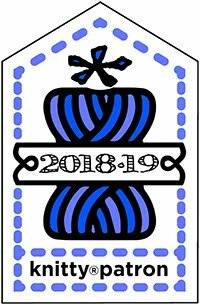 And now here we are, with just days to go before Christmas, and the socks are all either on their way or already at their new homes. I had wanted to send them out earlier but personal circumstances meant that my plans were delayed. Still, better late than never! 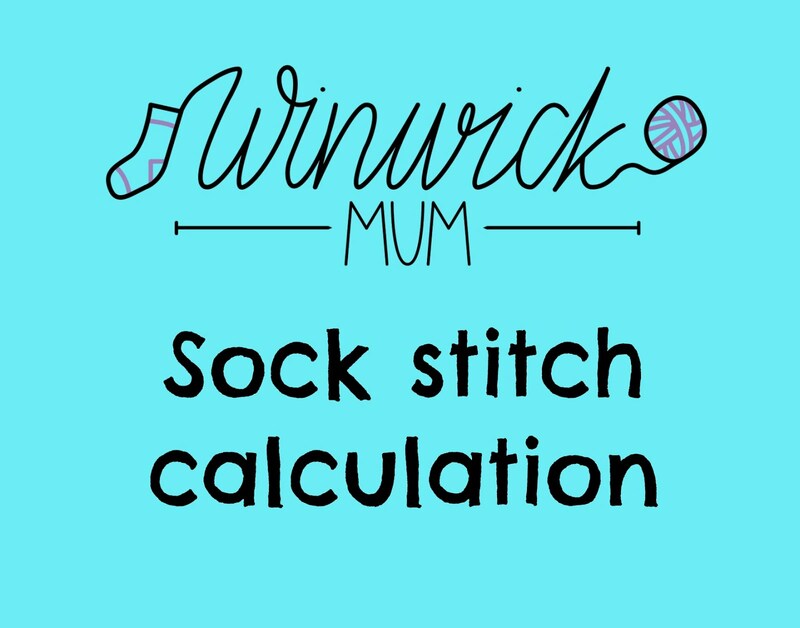 I had already catalogued each pair of socks - you can see all the pictures here on Pinterest - and I listed them all on a spreadsheet with the knitter's name and location, the colour and size of the socks and whether they were for men or ladies. Next, it was time for the phone calls - what a lovely job that was! I had already discovered that the big charities either didn't want or have time to deal with pairs of socks so with the help of people on the blog and in the Facebook groups, I got in contact with smaller, local organisations who knew of people that they could give the socks to directly, and were delighted to do so. Some places only needed a few pairs, others were pleased to have more. I was just pleased that they were so pleased to have them! but there was method in the madness - ladies' socks to the left, children's socks at the bottom, unisex socks at the top right and men's socks at the bottom left, with the baby socks tucked in between. Don't they look wonderful? 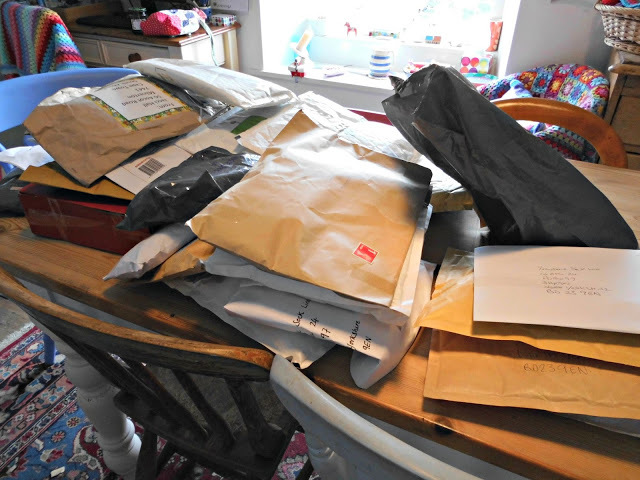 The next job was to parcel them all up and get them off to the Post Office. You might be wondering where they were all going, and I'm going to tell you - but you'll have to wait just a bit longer! 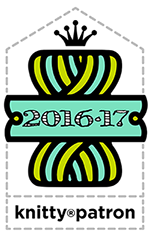 They have gone to wonderful organisations who are doing great work with so many people. 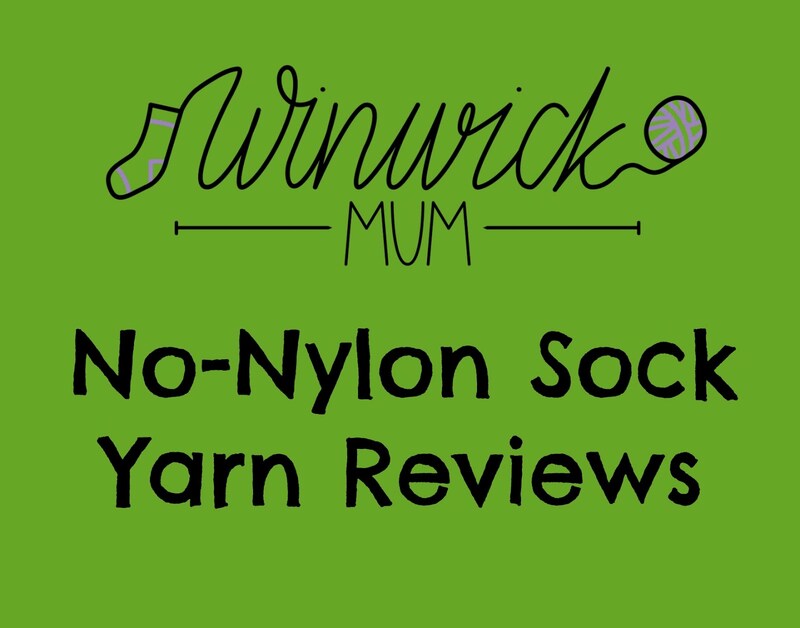 I have listed all the organisations and where each pair of socks has gone here so that you can see - and if you knitted a pair, you know exactly where your pair are! Thank you so much for the lovely socks. They turned up yesterday !!! We are thrilled with them!!! They are amazing !! Hope you have a lovely Christmas and a Happy New Year. What a lovely post and thanks for the info! 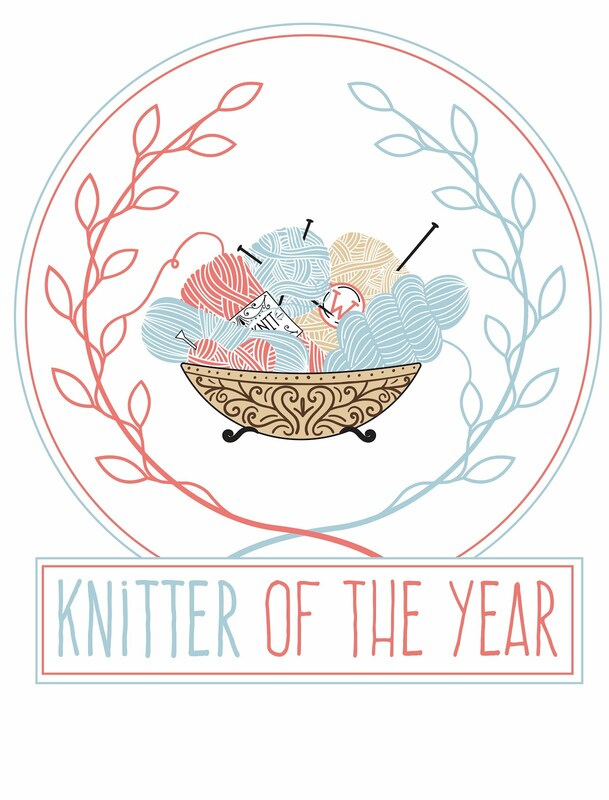 I just spent some time with knitting friends and for some, the subject was sock knitting! I managed 5 pairs in the end this year (as a novice sock maker) and am delighted my Yarndale pair will keep someone cosy this winter. I will happily join in anything similar in the future. How fantastic! Such a wonderful project. I'm another one who would love to join in if you ever do this again. 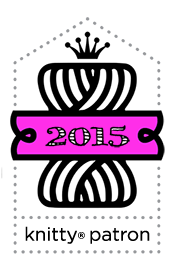 I'm new to your blog and found you via attic24. You and your sock elves are fantastic! 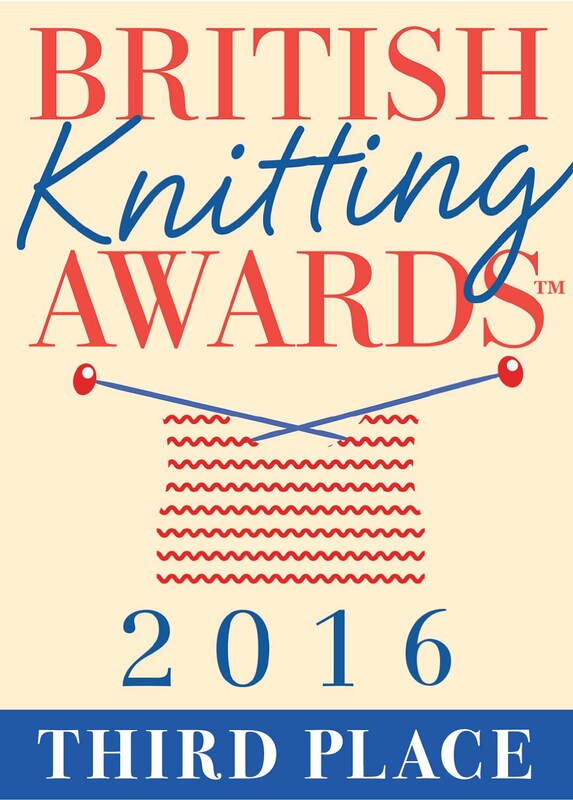 I'm going to get myself some wool and knit some socks! 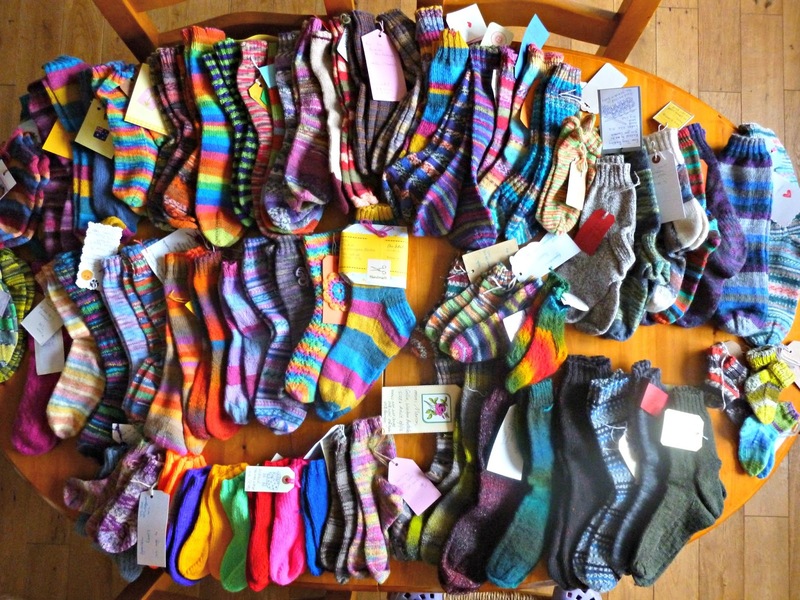 I'm so pleased that I joined in this project, the socks have found some well deserving homes and I'm sure the recipients will be very thankful for them. I love how we know where each pair of socks have found a home, it must have taken lots of time sorting it all out and keeping such detailed records so thank you for that. I see lots of organisations where the socks were donated to are in my neck of the woods.